From the moment we started looking for a house we've always discuss whether the kitchen was big enough and if any of the extra bedrooms were suitable as craft rooms. I think some of the estate agents thought we were a little crazy but we both need somewhere for me to store my crafting crap or it'll continue to drive us mad! 1. This lamp might be the perfect shade of blue. 2. And this chair would make sitting in the craft room all the better don't you think? 3. 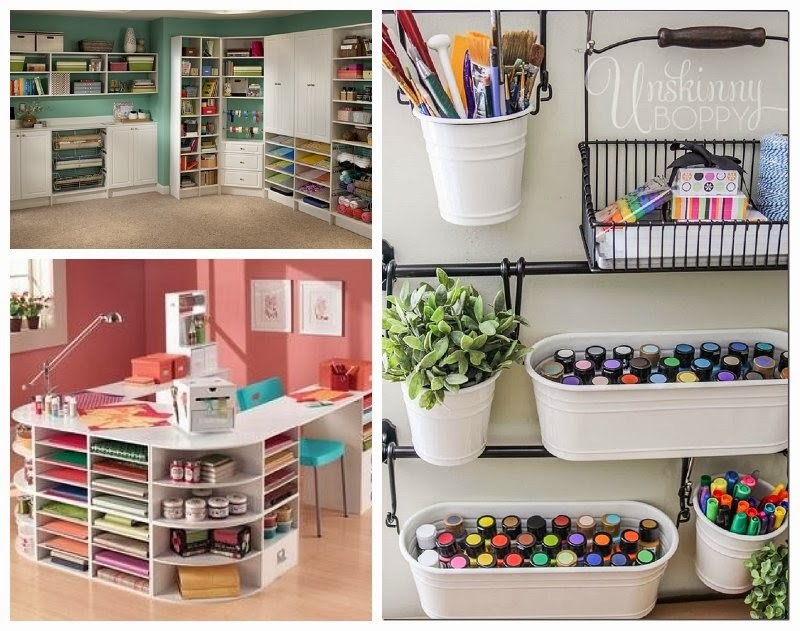 The Expedit series is a must for every craft room, right? 4. 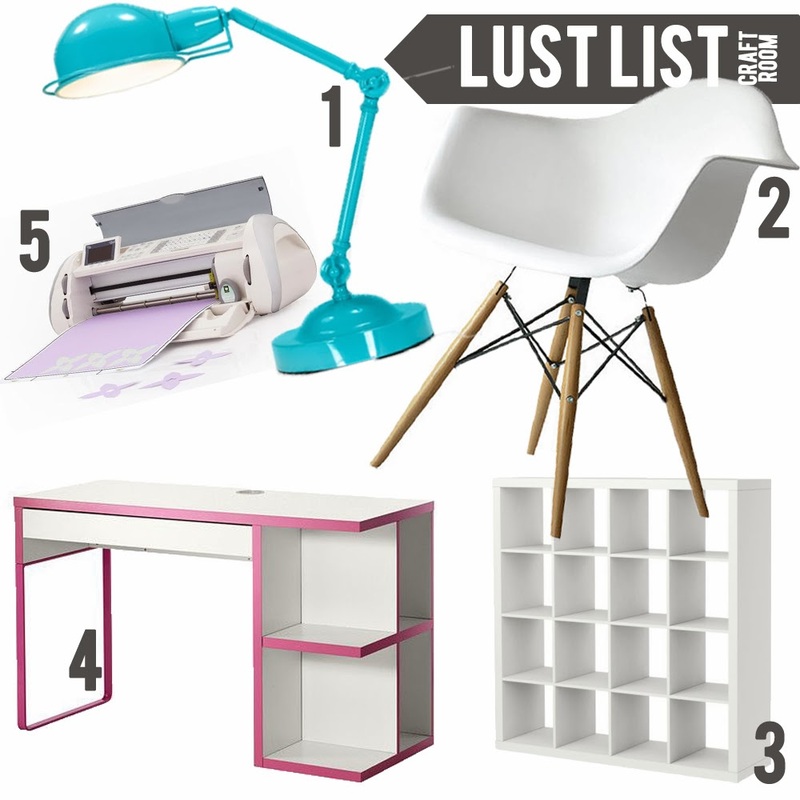 And maybe I shouldn't look to Ikea for a desk too, but the pink edges just make me swoon. 5. A Cricut has long been on my wishlist. I can't image any craftroom would be complete without one and having seen one in action for Forge, I just know it would revolutionise my crafting world! Where ever we end up, I'm guessing we might not have the budget to fully decorate the craft room (I think Jim might feel other rooms are more important. Phah. What does he know?) but that won't stop me working with what we'll have. Plus, if the walls are going to be covered in shelves and supplies, then they don't need to be perfectly decorated do they. But for now I'll just turn to Pinterest for a little dreaming about the my future craft room and all the beautiful storage it'll have. I love that desk and the lamp might well be the perfect shade of blue. That is my plan too. When Jim's in India my sewing machine usually stays out the whole time and I get loads done. Having to pack it all away makes me lazy about getting it out. 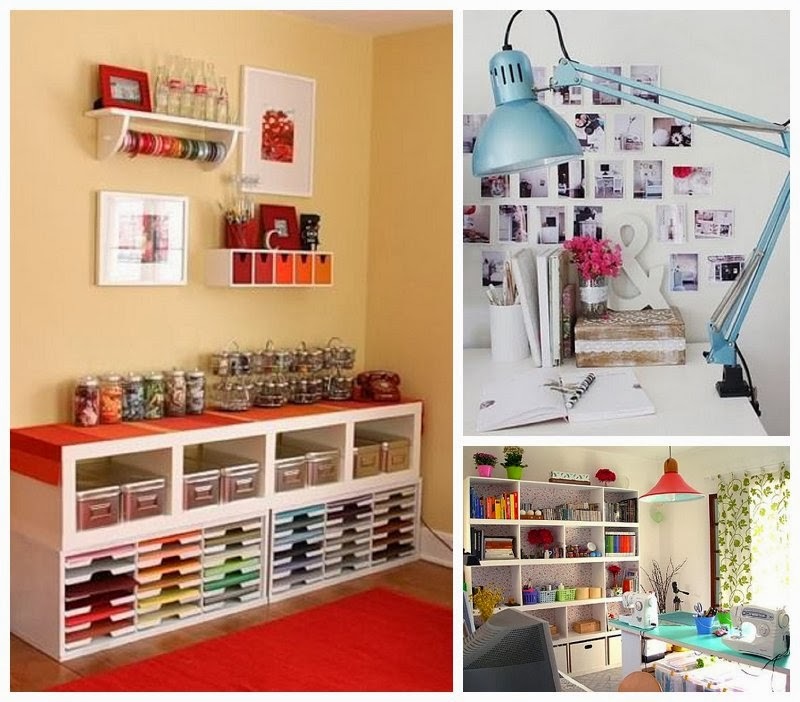 Ohh I would love a craft room! And I'd love the next place I move to to have some space provision for a craft room/area. But I worry with any money I would just buy some many craft items as well as loads of organisational whiz to store and organise them. But it is nice to dream and these are some great photos, especially all the colours! I know that feeling. I spend so long organising the little room I have to store my crafting stuff/clothes/junk in now that with a whole room to work with it might get out of hand! 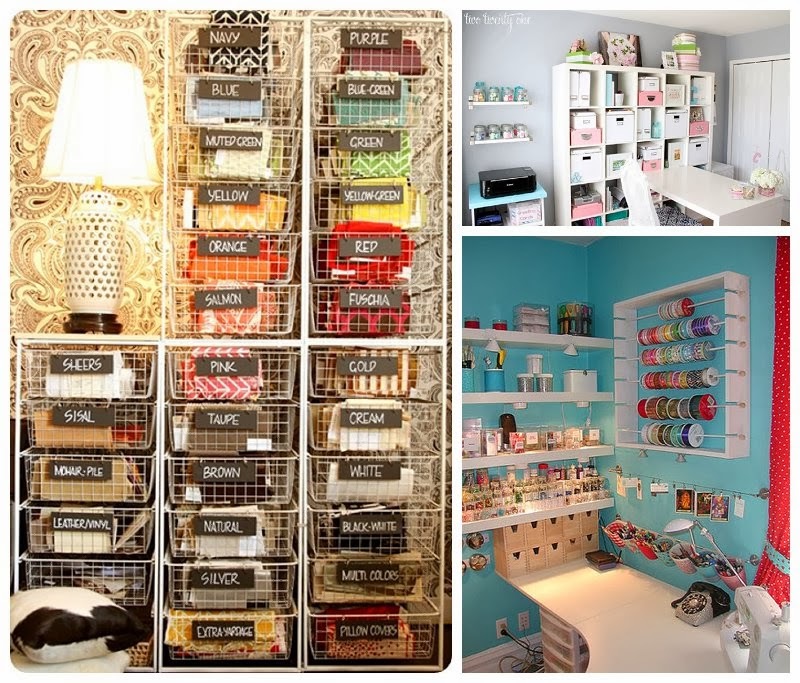 We're about to start looking for our first house, a stock come craft room is certainly one of our must have spaces! Mainly to keep all my junk/rubbish/stuff hidden/contained in one room!